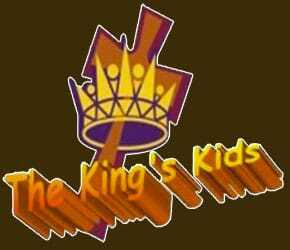 All children ages 5 – 5th grade are invited to attend the King’s Kids’ class at 9:30 each Sunday upstairs. The fourth Sunday of each month the King’s Kids are invited to join their families in the Worship Service. All Middle and High School aged youth are invited to attend the King’s Teens’ class at 9:30 each Sunday in the Youth Room. The fourth Sunday of each month the King’s Teens are invited to join their families in the Worship Service. All Middle and High School aged youth meet each Sunday night from 4:00 – 6:00 pm. All youth are welcome! The King's Kids Sunday School class continues to be a thriving environment for the children to learn about God. We continue to meet at 9:45 am the 1st-3rd Sundays of each month. There is no class the 4th Sunday of each month. Children are asked to attend Worship with their family. There will be a brief time of interaction with the children during the service. The King's Teens Sunday School class meets at 9:45 am the 1st-3rd Sundays of each month. There is no class the 4th Sunday of each month and the teens are encouraged to attend worship with their parents. All Middle and High School aged youth meet each Sunday night from 4:00 – 6:00 pm. This includes time for fellowship, team building, worship, devotion, and prayer each week. All youth are welcome!